Melton Mowbray maintained the pressure on the top three in Division Three with a third win in four matches on Saturday. Hosts Huncote won the toss and batted first, but were soon ruing that decision as they were bowled out for just 112 in 40 overs. There were still a few alarms for Melton as they chased the small target, but finally did so inside 29 overs and with five wickets intact. The win keeps them in fourth amid a heavily congested top half of the table, trailing second-placed Hinckley Amateur by 22 points and leaders Countesthorpe by 29. With four games of the season left to play, just 34 points separates the leaders from sixth-placed Ratby. 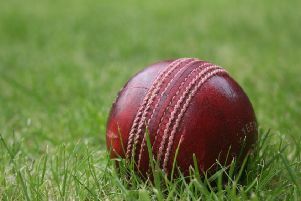 Melton face a crunch game on Saturday when they entertain third-placed Barwell at the All England Ground (1pm start). * In-form Chris Waldron helped Thorpe Arnold earn the lion’s share of points in their winning draw at Ibstock Town. The 17-point haul lifted them out of the Division Two relegation places and within touching distance of the teams above in a tight bottom half of the table. Waldron hit 73 in the middle order, with good support from Mark Carnell (25) and skipper Richard Randall (35) as the visitors clocked up 222-8. Opening the bowling Waldron then took 3 for 34 and Kingsley Miller chipped in with 3 for 42, but could not prise out the final Ibstock wicket as they closed on 203-9.